I’m lucky to have a great baking buddy. My son who is almost five years years old loves to bake with me. In fact, he gets very sad when I make anything without him. With Valentine’s Day coming up we decided to spend some time in the kitchen together while his older brother was at school. 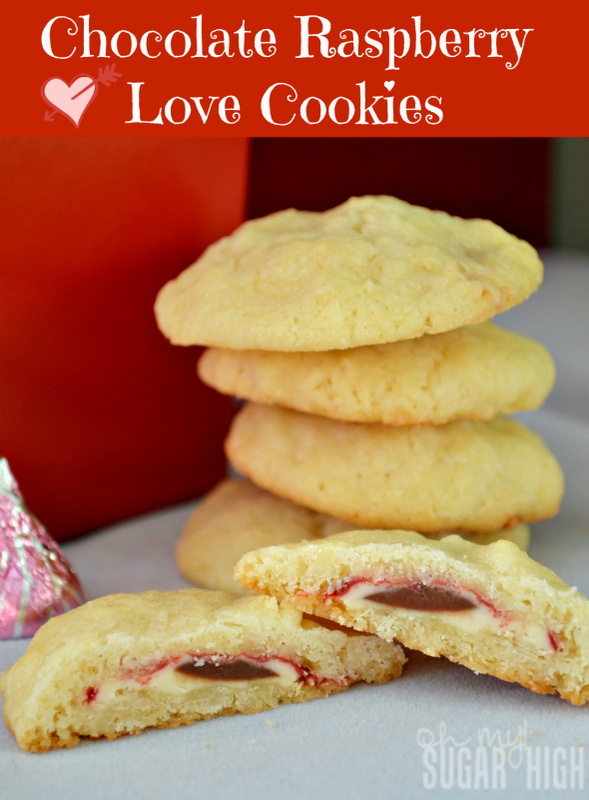 I came up with this very easy to make recipe, Chocolate Raspberry Love Cookies. 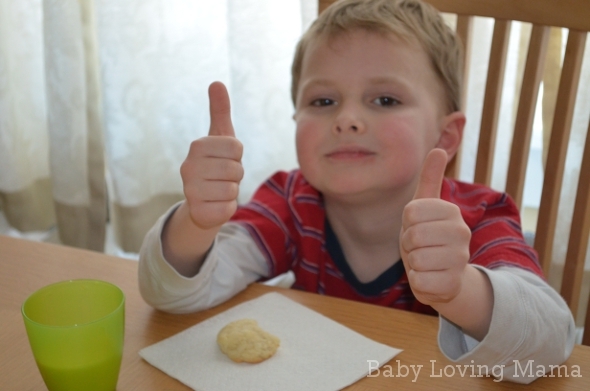 By using a Betty Crocker Sugar Cookie Mix and some coconut and candy, we made cookies that allowed him plenty of opportunities to get involved. He did everything from stirring to unwrapping candies to rolling the balls with me. It was a ton of fun! Stir together sugar cookie mix, softened butter and egg as directed on cookie mix package. Stir in shredded coconut. 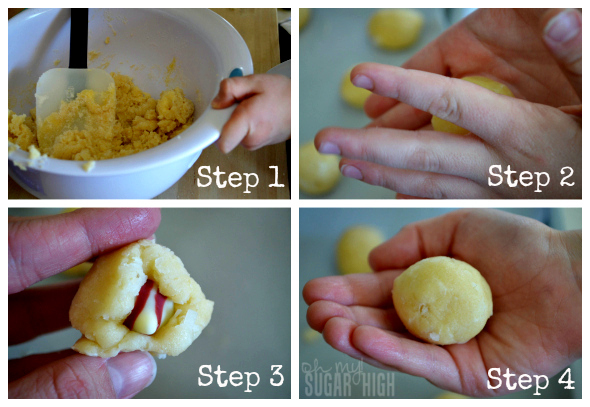 Form dough into 1 inch balls. Push chocolate candy into center and fold dough up. Reform dough around chocolate to re-create the round ball shape. Place on parchment or silicone baking mat lined cookie sheet, pointed side of chocolate up. Bake 10-12 minutes or until crust edges of cookie start to turn a very light brown. Cool on cookie sheet 2-3 minutes before transferring to wire rack to cool completely. We also played around with different ways in which to present the cookies to add additional color. Because they don’t have a lot of decoration on the outside, they are very easy to store and transport. 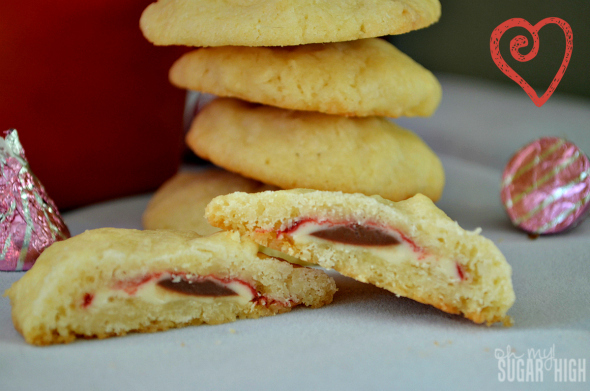 They came out sweet and oh so decadent with a chocolate raspberry surprise in the middle. 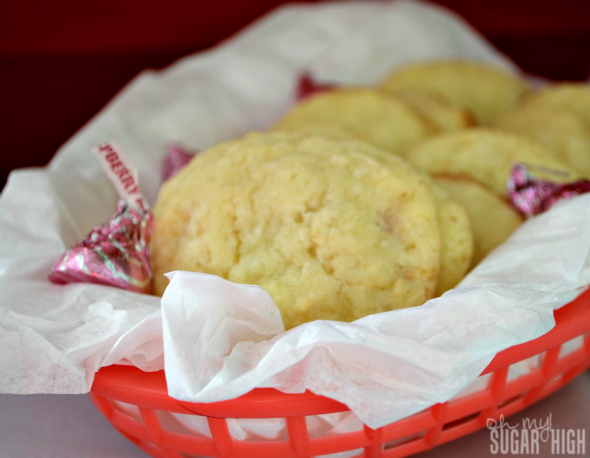 Hershey’s Hugs Raspberry Flavored Candies are a seasonal product however any of your favorite Hershey’s Kisses flavor would work for this recipe such as traditional Hershey’s Hugs. To keep your cookies uniform, be sure to have the top of the Hershey’s candy pointed up or they may become oddly shaped. To add additional color, drizzle chocolate over the top of these cookies or dip half the cookie in chocolate. Keep in mind this will make them extra sweet and decadent. They were a hit and definitely didn’t last long in our house. 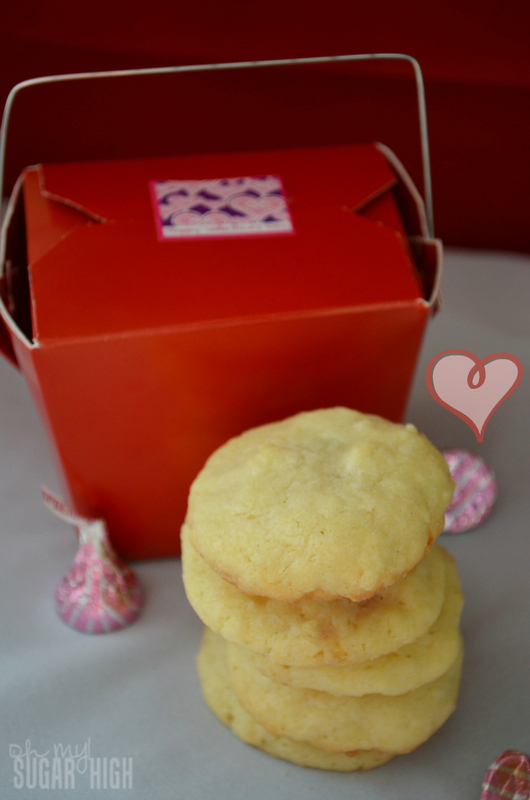 Do you enjoy baking for your family to celebrate Valentine’s Day? 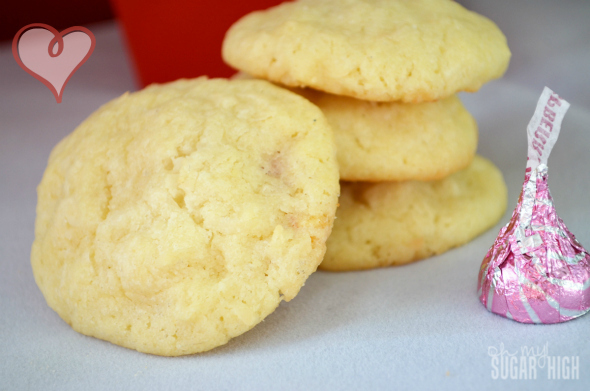 Be sure to visit the Betty Crocker Cookie Headquarters to find more great cookie recipes! Disclosure: I was asked by General Mills to create a cookie recipe using a Betty Crocker Cookie Mix and have been compensated for my time. Absolutely! The love he puts into all of his baking and decorating makes everything taste even sweeter. 🙂 Thanks for stopping by!